"I left them alone for a minute to see if they'd run off, but they didn't." 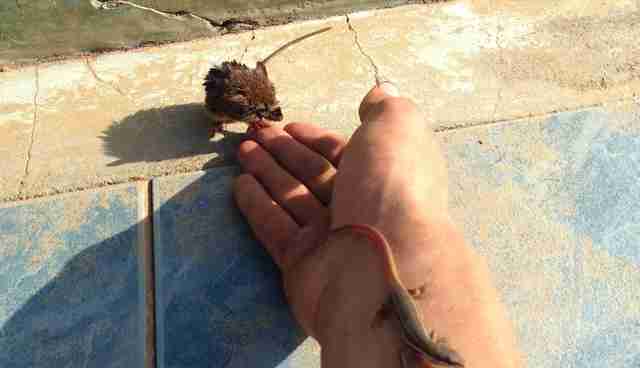 Levi DeWitt was volunteering in Bolivia when he spotted a mouse and a lizard, both drowning in a swimming pool. "The pool was partially drained and the water level was well below the cement slide where they could have escaped," DeWitt told The Dodo. 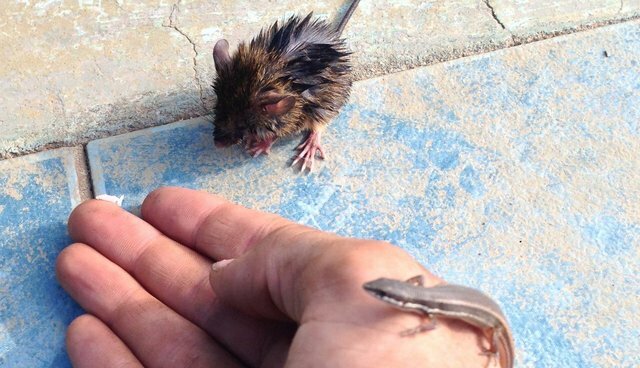 DeWitt grabbed a nearby coconut branch and slipped it into the water so that the mouse and then the lizard could hop right on, and he quickly pulled the pair to safety. 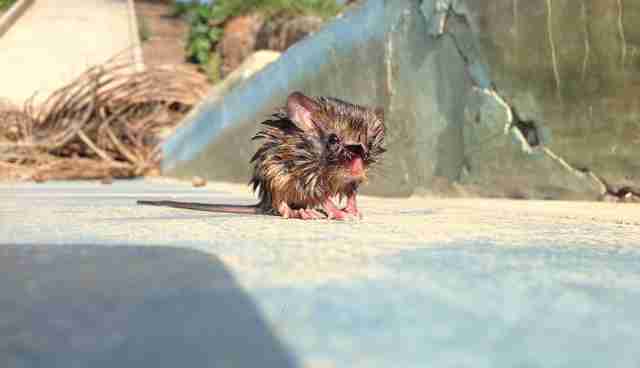 Both the mouse and the lizard sat in shock after being rescued, trying to dry themselves off, and DeWitt assumed that once they had recovered they would run off, but neither of them did. "I left them alone for a minute to see if they'd run off, but they didn't, so I got closer and tried petting them," DeWitt said. 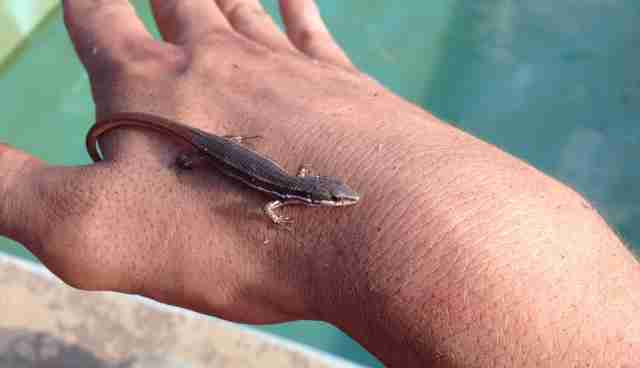 "Then they hopped onto my hand and ran up and down my arms for a bit." 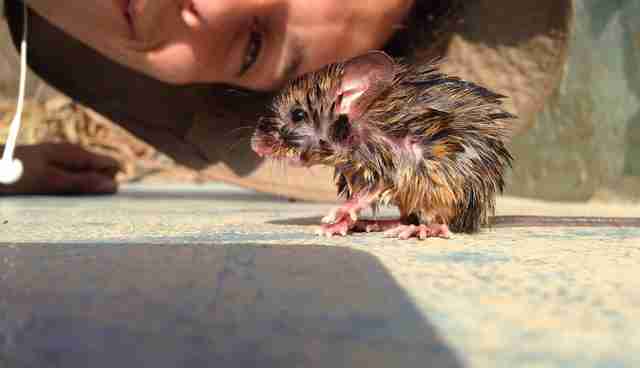 Both animals could have run away as soon as they were saved, but instead, they stuck around as a way of saying thank you to the man who saved their lives. The trio hung out for a little while, until finally the mouse and the lizard both scurried off, dry and safe once again.